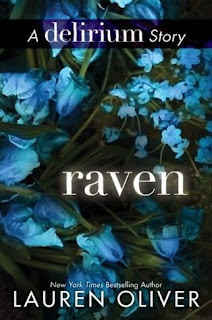 This captivating 50-page digital-original story set in the world of Lauren Oliver’s New York Times bestselling Delirium series focuses on Raven, the fiery leader of a rebel group in the Wilds. voice that is as vulnerable as it is strong. I was a newbie to the “Delirium” series by Lauren Oliver. Once I started “Delirium,” I wasn’t able to put the book down. It was so hard focusing at work while I eyed “Delirium” out of the corner of my eye. Lena’s story was amazing. As most of my readers know, I am very picky about my characters. How much I like a book is based mainly on the characters of the book. Oliver writes such awesome characters. I was pulled in from page one. Delirium caught my attention right away. I was immediately interested in this alternative universe where love was considered to be a disease that harmed people. In this nation, the government believed that loved caused all sickness and diseases that people could die from, so when teenagers came of age, they would remove a part of their brain so that the people would be unable to experience love. IF there were acts of love kissing or holding hands, then your house would be searched. Lena’s mom had the procedure done three times and it still hadn’t healed her. She still loved her children and had a sunshine spirit; she didn’t believe anything was wrong with her. Then one day Lena was told that her mother had killed herself and people began to avoid Lena thinking she carried the disease too. On Lena’s evaluation day, a prank is pulled and Lena sees a boy watching her interview process and she thought this boy could be an invalid. As Lena goes on a journey of discovering the truth about her life and the disease of love, she has a chance to fall in love herself. I liked the concept of “Delirium” a lot. I did feel like it lined up with the A-typical romance stories of a forbidden love. Girl falls for boy, boy falls for girl, they both end up acting a little stupid, so on and so forth. I think the writing in Delirium was incredible. This book flows really well. I love the setting and background that Oliver creates making the world completely realistic and even relatable. The readers gets introduced to a world that is not much different than our own, it is a little bit more destroyed but Oliver creates and alternative reality to the United States. The characters were pretty fantastic too. I loved Lena and how she grew as a character throughout the entire series. By the end of the series in “Requiem,” I feel like Lena grew up. Lena was no longer a naive teenage girl but a strong experienced young woman. She knew how to take care of herself and the others around her. In “Pandemonium,” Lena is living in the Wild with the other invalids. Lena has to learn to fend for herself and to become strong. She doesn’t have the luxury anymore of living in a city; she is out in the woods. During her time there, Lena is put on a secret mission when she is kidnapped. Lena gets a second chance at love with Julian. As Lena and Julian fight together to keep themselves alive and to try to escape the kidnappers, the two learn a lot about each other and become protective of one another. Again I thought “Pandemonium” was written very well. The characters were amazing. In this novel we have Lena, Julian, and Raven. It was nice to be introduced to some new characters. 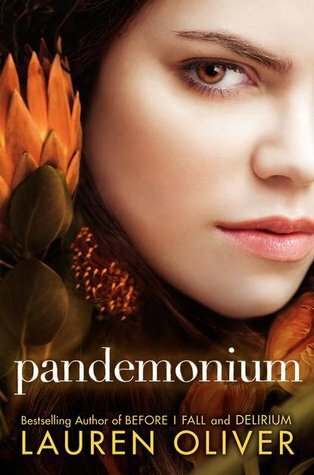 The biggest issue that I had with “Pandemonium” is that this novel seemed to go at an ultra slow pace. I had a hard time getting through this one. It seemed it was more petty drama than anything else. Then we are introduced to the new love triangle of Alex, Julian, and Lena. This triangle it was hard to figure out which male lead you liked the most, Alex or Julian. I still haven’t decided which one I liked the best because each had his specific quirks that I liked. 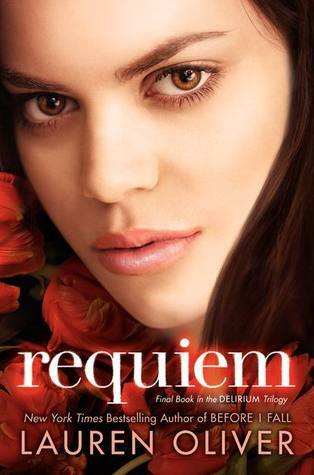 Then we have our conclusion to the series “Requiem.” I would have to say that “Requiem” was probably the best book in the entire series. 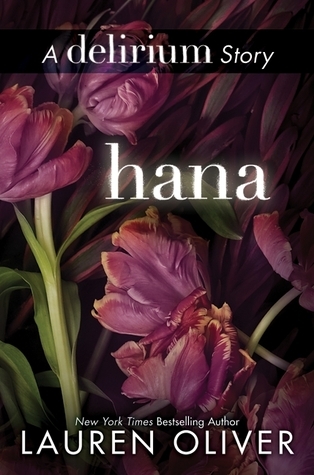 I loved the dual point of Hanna and Lena and I think it wrapped up the series quite nicely. Oliver ended the series so that the reader could basically decide how they wanted it to end rather than Oliver just giving the reader the reader a specific ending. “Requiem” has an ending that people can talk about and compare notes. I think this was a great way to end the series. I also read the novella’s just to see what extra bonus Lauren Oliver wanted to include in her series. 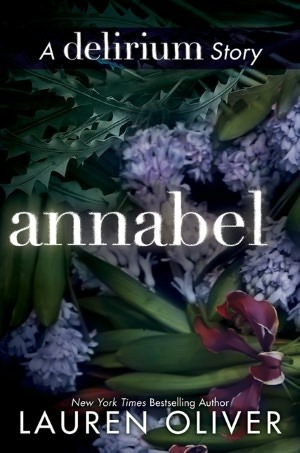 I really liked reading Annabel’s story the best because it gave me a chance to get to know Lena’s mom. I liked getting to see the background information of how she because who she is. Hanna was a spoiled brat that I never liked and I feel like she got what she deserved based off of the stupid choices that she made. Raven had one heck of an adventure in front of her. 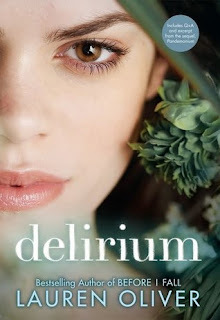 I definitely think that the “Delirium” series is worth reading. There is a pilot being filmed for the tv show version of the book. I really hope that the pilot makes it to tv because I think it would be fun to watch. I did pick up Oliver’s other book “Before I fall” to see how her debut novel was written. I can’t wait to see what Oliver comes up with next. I give the "Delirium" series four out of five bookshelves.